To add a video from one of your libraries to a playlist, start by clicking on the 'Libraries' tab in the main menu at the top of the page. 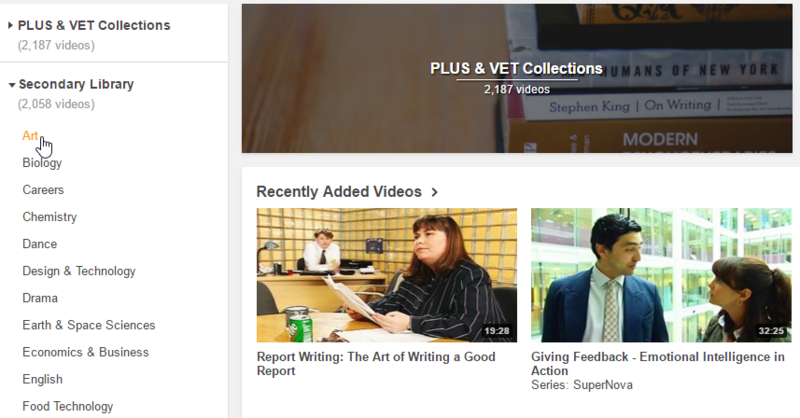 You can browse through your videos by category using the menu on the left hand side of the page. Once you have found a video to add to your playlist, click on the ‘Add to playlist’ option in the ‘Options’ menu. Select the playlist you would like to add the video to by clicking the ‘+’ button next to the playlist name.